Online ordering menu for Asian Kawa. Welcome to Asian Kawa! 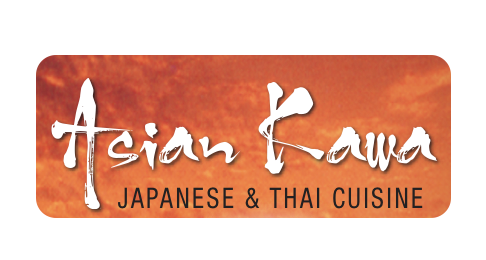 Where you can find delicious Sushi and Thai Cuisine. All of the ingredients are made with the fresh vegetable, meat, and fish. We are serving Thai Seafood Soup, Pad Thai, Sushi Dinner, Thai Triple Delight, and etc... We are located in the Main RD and only 5 minutes from Apple Montessori School & Camps and 10 minutes from The Goddard School. We are available for delivery and carry out. More choices on our online menu, order online Now!